In this series, I’m talking about big issues in how we think about our scientific past. This week I get into more detail about what the Scientific Revolution did and didn’t do. Read the first post in this series, on ancient Greece and math. The term “scientific revolution” is kind of misleading in terms of how we think about it now, because it wasn’t a huge upheaving and overthrowing of an oppressive regime. Instead, this intellectual revolution was what historians refer to as a rupture – a point at which something fundamental changes, which prompts historians to consider it the beginning of a new era. The scientific revolution is often presented as a rejection of blind faith in the church, signaled by the Protestant Reformation that started in the sixteenth century, that eventually allowed medieval Europeans to lift the veil from their eyes and see the truth that had always been right in front of them (and which had been known in the ancient world). And while some really big scientific theories became accepted by the end of the seventeenth century (like the heliocentric model of the universe), what really changed was the framework in which people pursued knowledge – the kinds of questions they asked and the methods they used to answer them. The most important thing to change in the Scientific Revolution (which, for the record, happened broadly across the sixteenth and seventeenth centuries) was the Scientific Method. I was surprised and delighted to discover how thorough the Wikipedia page on this topic is and I highly recommend reading it to get some nice jumping off points into specific Arab and Persian scholars who contributed to the development of the Scientific Method. =When we talk about science today, we mean things that are both very broad and very specific. We have an image of a scientist as a person in a lab coat, and from this image we have the association that a scientist is someone who performs rigorous testing in a very technical way to learn something that is factually accurate. Now, I want to clarify here that I don’t think this is right – people who consider themselves scientists will be the first to tell you that it’s nearly impossible to prove something, and the scientific research community is in the midst of what has been called a reproducibility crisis. But this is at least the common impression of a scientist. And we see this image of science in our colloquial use of the word, like when someone obnoxiously refers to something as “an art, not a science”, which we generally take to mean that it is interpretive rather than technical. We get this impression of science from the Scientific Method, a process for investigation in which the investigator poses a question, offers a hypothesis, designs a test to prove or disprove that hypothesis, analyzes the resulting data, and draws conclusions. 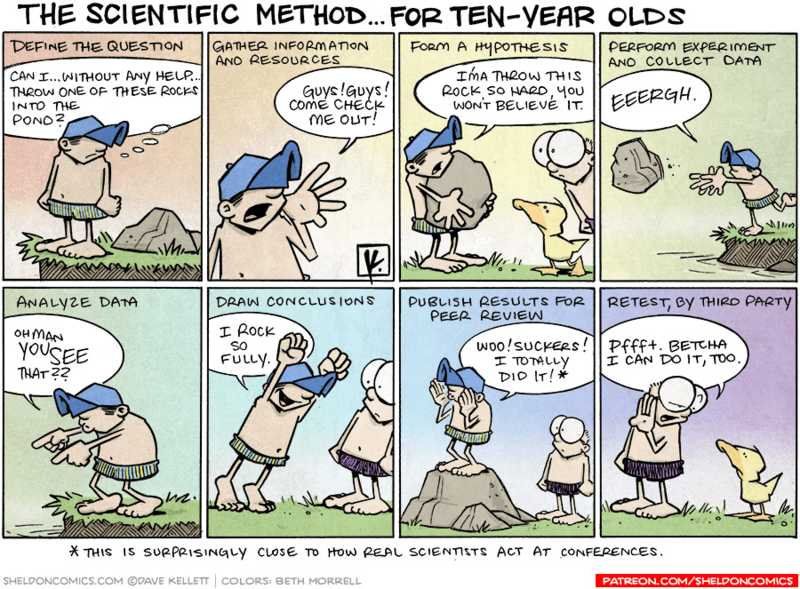 The scientific method is formulaic, driven by observation and careful recording, and relies on the expression of results in quantifiable terms. This does not really describe science prior to the Scientific Revolution. Prior to the scientific revolution, there is no concept of a scientist, or a person who studies systems in a methodical way. Instead, there were scholars, or simply people who studied. What they studied was called science, though. In both Arabic and Latin, the word for knowledge eventually came to be the word for science. In Arabic this is ‘ilm (علم) and in Latin this is scientia. Scholars sometimes had more specific names for themselves, like philosopher or physician – people who studied the biggest theoretical questions about life and the nature of existence, or people who studied medicine, respectively – but not scientist. Although these looser terms make it sound like pre-modern science was not as rigorous or didn’t require as much study as today, the training to become a scientist was equally difficult and just as well-earned. Scholars throughout the Mediterranean, Middle East, and Europe (what I should really start calling something flashy like “the hot zone”) spent years in apprenticeship-like study under an accomplished authority. Even before this, these students had to learn the specialized skill of reading and writing, which in the premodern world was not a regular means of communication. This education largely took place in religious institutions. I’ll get into this more in a future post, but the important thing to know about this for now is that in Christianity, Islam, and Judaism, scholasticism has traditionally been emphasized as a way of engaging with the foundational texts, whereas few other institutions in the premodern world had the structure, means, or consistent need to deal with writing. Participating in these institutions meant both time and money, although Muslims in the premodern world tended to be more widely literate than other groups because of traditions surrounding the accessible study of the Qur’an. It should be abundantly clear at this point that science in the pre-modern world did very little in the way of what we would call observation or collecting data, and instead focused mostly on reading. There were people writing about (and studying but not writing about) scientific topics who were also conducting observations. In the first century, for instance, there was Dioscorides, who created what we would now call an encyclopedia of medicinal plants and naturally occurring substances, De Materia Medica. He did this through observation – travelling the eastern coast of the Mediterranean from what is now Turkey to North Africa and recording the plant life in those places. For roughly 1500 years after, scholars followed his example and created new versions of De Materia Medica based on their own observations and practical knowledge of plants. Similarly medicine and astronomy/astrology were heavily based in observation. But these observations were rarely what we would consider data – they were rarely recorded in systematic ways. Astronomical observations were perhaps the most “scientific”, because they were heavily based in numbers representing the degrees above the horizon that a planet appeared (I’ll deal with this in more detail in a future post). And maybe that’s why histories of the scientific revolution often focus on astronomy – because it looks the most like science both before and after the seventeenth century. 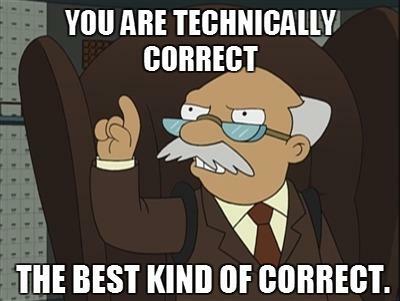 Disclaimer: I find the Green brothers kind of irritating, in that “technically correct” kind of way. As happens often in the history of science, Copernicus’s contribution wasn’t really coming up with a new idea, but taking a non mainstream idea and explaining it in a way that made people pay attention. He’s right, Copernicus and Oresme didn’t come up with new ideas, they weren’t being explicitly revolutionary. But their influence wasn’t in being ultra hipster and liking heliocentrism before it was cool. They represent a point in time at which modern people looking back can recognize a theory that looks like how we currently understand the movement of the planets. But in their own time, they fit pretty neatly into a continuum as this idea gained popularity. What really changed was that the intellectual worldview in their time was becoming interested in the concept of a physical world beyond Earth. It’s not that earlier people didn’t believe the Earth could simply be one of several planets, but that the point of looking at the sky before had been about what was happening on Earth. It’s like looking at a sonogram image and suddenly realizing that what you are seeing is not a picture of a fetus, but a picture of a woman. The woman was always there, but whereas before you saw her simply as the backdrop, the environment for the fetus, you now see her as another focus of the image. Once you see the woman, you start to understand what is going on inside the womb in a different, bigger, way. But, it was not incorrect to say that the picture is of a fetus. Similarly (and I’m sure I sound like a nut for saying this) it is not incorrect to look at the sky and say that the Sun revolves around the Earth, only because from the perspective of the Earth, that is what’s happening. If you stand still all day, the Sun moves from one side of you to the other. Holistically, this is not true. But from a limited perspective, and from an experience that is primarily concerned with what is happening on Earth, it is. The problem with Hank Green’s “technically correct” presentation of the Scientific Revolution is that it regards knowledge as entirely factual. There is a correct, true way that things are, and science is an Easter egg hunt to find it. But that’s not science – if anything, it’s revelation. The context in which knowledge is gained and the terms used to describe it matter just as much as the knowledge itself. As Green points out, the full solar system had already been theorized 1800 years before Copernicus. But that theory had no place in premodern modes of thought. You could call this a kind of “theory ahead of its time” but I don’t really like that phrasing because it still hinges on the idea that there is one objective truth just waiting out there to be discovered. What are the ancient Greeks supposed to do with the information that the Earth is a planet in a solar system? Does it change the way they navigate? Will it make them want to go to the moon? Will it prevent medieval thinkers from comparing metals to corresponding planets – I don’t know, does that knowledge stop us from finding out which Disney princess we are most like? That presentation of the Earth simply doesn’t have an footing in a worldview that is interested in the nature of existence on a broad scale. It’s not until the worldview has shifted and people are interested in understanding what things are made of and creating categories for all the substances in existence that it really matters. This focus on Creation goes back through the twelfth century, when scholars like Hildegard von Bingen were considering human health in terms of a divine system. And it continues through the Scientific Revolution into investigations of what makes someone human and where the boundaries of scientific invention should be – the central anxiety explored in Mary Shelley’s Frankenstein. Even though the Scientific Revolution doesn’t reject the religious structures that came before, the religious rupture of the Protestant Reformation is still important to the Scientific Revolution in that it helps to broaden the learned class in Europe beyond the clergy. This isn’t because Scientific Revolution thinkers were throwing off the yoke of the church’s oppression and learning to question religious authority. In fact, there were many kinds of accepted authorities on matters of science throughout the Middle Ages – scholarship often engaged with classical Greek and Roman thinkers as well as Arab, Persian, and Jewish scholars, none of whom gained their authority via accepted Catholic texts. And apart from scholars whose writing was explicitly meant to be understood in a religious context, like Hildegard von Bingen or Thomas Aquinas, scholars of the Christian Middle Ages rarely invoked the Bible as an authority at all. Instead, the Protestant Reformation encouraged a blurring of the lines between the laity and the clergy, and Martin Luther in particular pushed laypeople to read the Bible themselves. This is a huge break from the way people, even the clergy, read before. Reading was a communal activity, and even in monasteries, monks read out loud in groups or had books read to them. The idea that a person should sit down by themselves to read completely reframed how knowledge should be acquired. And it also meant that the specialized skill of reading had to become much more available. At the same time, Europe had rising numbers of people with some spending money (or money at all since Europe was on the cusp of having a cash economy), both from the expanding merchant class and also from an elevated lower class as a result of the Black Death casualties in the mid-fourteenth century. This meant that, in an age before public schooling, more people had the ability to buy an education and to buy books. The introduction of paper and the printing press in Europe made that wider literacy a practical possibility. And so more people, and a more diverse group of people, were entering the scholarly debate in the fifteenth, sixteenth, and seventeenth centuries, and their mere presence changed the aims of the conversation. This is also the key reason that there was no Scientific revolution in, for instance, the Islamic world, where literacy had already been more widespread. There were major intellectual shifts in this period, but they constituted less of a rupture and were really more a shift in the topic of conversation than the nature of it. So the Scientific Revolution isn’t so much about what new knowledge was gained, but about new ways of thinking. It’s the result of social shifts and also one significant point in a very long ongoing scholarly debate. More people from more backgrounds asking questions about the world around them and considering a much wider world than they had cared about before.